crennan is using Smore newsletters to spread the word online. In Sparta there were people called Spartans, Spartans were soldiers. They were not like any other military in Greece, they trained all day and all night. Like I said boys left at age 7 and that was for conditioning, without this rough way to train spartans they would not be as strong. Sparta was ready for any battle they often conquered their neighbors by using their secret weapon, the spartans. 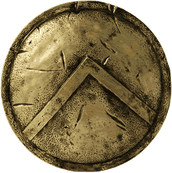 They had big shields, that was for their military tactic. 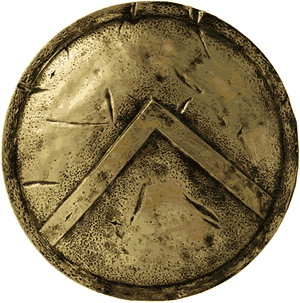 What they would do is form rows of spartan men with their shields ready, with the big shields they would cover their body and when the enemy strikes first they would push them with their shields, and then strike the enemy. If only one person messes up the first row of people will fall, that is why they train so rough because their lives depend on it. "We rather die on our feet then live on our knees!" In Sparta, government was different then the rest of Greece. Sparta had a government called a oligarchy. 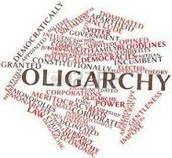 An oligarchy is a system of government that had a few people, this was very common in Sparta. They had a council that created laws. This council had 28 citizens and 2 kings. The kings would lead the Spartans in time of war. The leaders of the council would take the laws to a assembly where they would configure what to do with the laws. Sparta is in apart of a city called Laconia, Greece. Near the southern part of the Peloponnese. The coordinates are 27N, 22E. Sparta is a bit different then the rest of Greece. 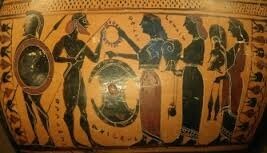 The women in Sparta have a lot more power then any other part of Greece. They bought and sold properties because the men were to busy in war or they were in the council of men. Like any other women also had to clean and teach their daughters how to work. They also raised their boys as well, before they go off to the military. 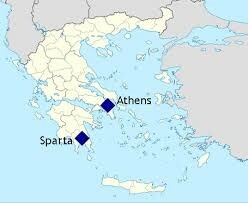 The men's roles were to leave very young to go and defend Sparta/Greece. At age 60 the may retire if they want and then become a citizen in the Oligarchy. The boys before they had to leave usually spent their time running around or playing sports.